I found this book to be much better than the previous one because it had an actual plot and the author wasn’t aimlessly killing off characters. Serena has just escaped from a juvenile detention facility. She is brought back to custody when they offer her a place at a “camp” for “people like her” instead of going back to juvie. Serena is at first wary of this offer but agrees because she doesn’t want to go back to where she was before. Upon arrival to the “camp”, Serena learns that she has a fallen angel inside of her that is giving her the ability to control water. The other people at the camp have various abilities and are trying to find more people like Serena to save them from evil. Serena, under the guidance of others, learns how to better harness her powers to save lives. One day, however, Serena has an altercation with one of the more powerful angels at the facility and barely manages to run away. 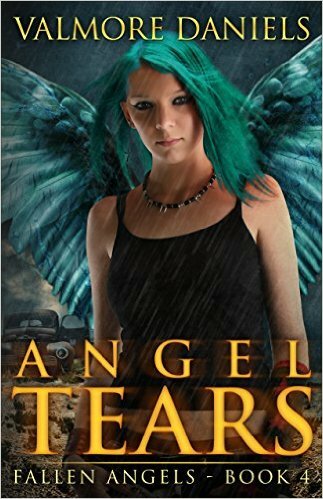 Then, she meets more escaped fallen angels who tell her that the people at the camp are actually trying to hurt her. All things you want in a book. A plot and not having characters killed off aimlessly. Lol… Love it. Thank you for taking the time to visit my blog! !